What my buddies all think of me! Put ’em together, it just makes sense! Of relaxing in the summer sun just lettin’ off steam! Turn up your speakers, sit back and enjoy this wonderful montage of where the magic of Disney Parks all began, Disneyland. For more vintage Disney videos, check out Disney History Institute. Happy fall, y’all! With the autumnal equinox occurring on Sunday, this weekend was full of fall fun! A beautiful morning calls for a walk around the neighborhood. Our friendly neighborhood Spider-Man came for a visit. I love these two. ❤ Yes, they’re sharing a teething ring. Autumn is officially here! I’m happy that these two seasonal staples are now in our refrigerator. My boys watching for falling leaves and enjoying the cool breeze Sunday morning. This weekend was absolutely beautiful. I’m so glad fall is finally here. I’m ready for cooler temps and colorful trees. How was your weekend? Are you as excited about fall being here as we are? 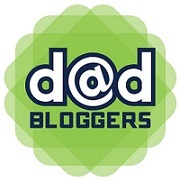 My blog has reached a new milestone with 8,000+ views! Thank you, MagicalDaddy.com fans! Thanks to you we have over 400 likes on Facebook now. Wow! I think this photo of me and Gary Buchanan, from the Disney Parks Blog, is perfect for the occasion. 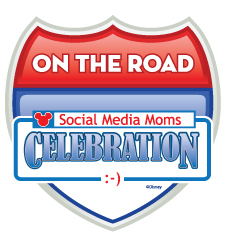 This was taken last month at Disney’s Hollywood Studios during the 2013 Disney Social Media Moms Celebration.